Gov. Eric Greitens has changed a policy that kept religious organizations from receiving certain state grants. A news release from Attorney General Josh Hawley's office said that the office had to step aside to "preserve the Attorney General's ability to vigorously defend the Governor's policy." The release also noted that former Missouri Solicitor General will represent the Department of Natural Resources in front of the nation's high court. Hawley had been a private attorney for Trinity Lutheran Church before taking office in January, and hasn't had anything to do with the case since. The American Civil Liberties Union and other groups say the case should be dismissed because the rule change effectively removed the controversy. The church sued the DNR over a rule that stopped religious organizations from receiving state money for recycled tires for playground surfaces. The department cited a state constitutional amendment stating that religious organizations can't receive public dollars. Gov. 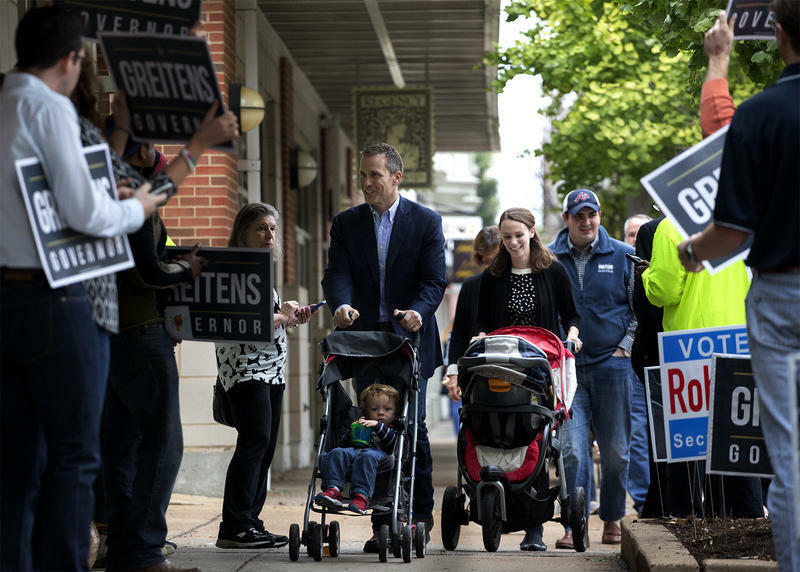 Eric Greitens reversed a Missouri policy Thursday that had banned religious organizations from receiving certain state grants — a move that could affect a case to be heard by the U.S. Supreme Court next week. His directive, which took effect immediately and was announced through a news release, allows religious organizations to apply for state Department of Natural Resources grants. Previously, applicants had to state that they were not owned or controlled by a church. The school sued, and that case, Trinity Lutheran Church of Columbia v. Comer, has gone to the U.S. Supreme Court. Oral arguments are expected in Washington, D.C., next week. Though Greitens' statement said that the action isn't "expected to affect" the case, former Missouri Supreme Court Justice Mike Wolff said the high court could dismiss it because there's no longer a dispute between the church and the state regarding the policy. Greitens’ statement included reactions from some faith leaders, including the Missouri Baptist Convention and the board of trustees’ president for Epstein Hebrew Academy in St. Louis. "We applaud Gov. Greitens for his actions today, which we believe will benefit all Missouri children, regardless of where they attend school. Like all Missourians, we want better and safer schools for our children. Through the implementation of this policy, the governor is making that happen," said Daniel Lefton of the Epstein Hebrew Academy. At least one other group is more critical of the governor's action.